GRANTS PASS, Ore. — Bobby Doerr, the Hall of Fame second baseman dubbed the "Silent Captain" of the Boston Red Sox by longtime teammate and life-long friend Ted Williams, has died. He was 99. Doerr died Monday, the Red Sox said Tuesday in a statement. The Red Sox said Doerr had been the oldest living major league player. Signed out of the old Pacific Coast League on the same scouting trip that brought Williams to Fenway Park, Doerr played 14 seasons with the Red Sox and joined his fishing buddy in the Hall of Fame in 1986. 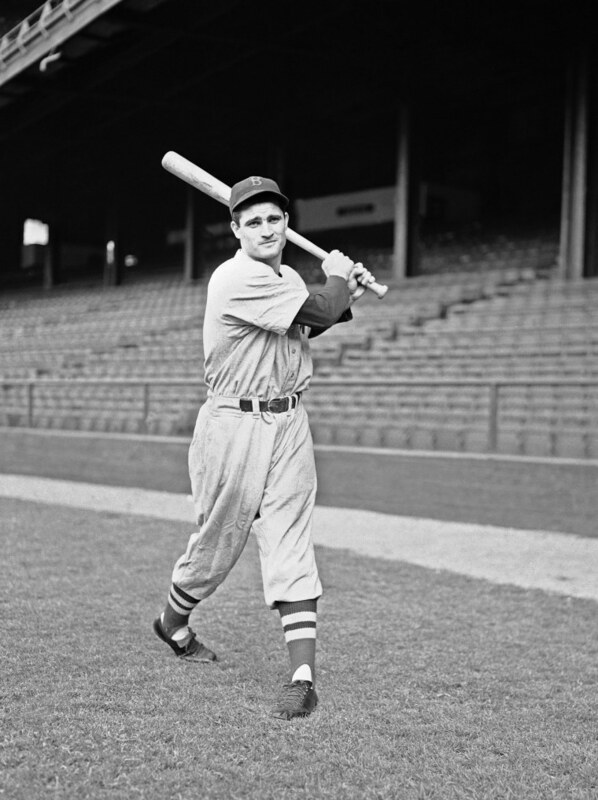 He had a .288 lifetime average, helping the Red Sox to the 1946 World Series, and in the first All-Star Game played at night he hit a three-run homer that gave the AL the lead for good. "Ted couldn't understand mediocre, see. And I was in that mediocre class," Doerr told The Associated Press on his 90th birthday in 2008, which the governor of Oregon declared Bobby Doerr Day. Doerr's modesty was belied by his stats: He finished with 2,042 hits, 223 home runs and 1,247 RBIs and he once went 414 games without an error — a record at the time. His six seasons with at least 100 RBIs was not matched by another second baseman for 25 years. As a hitter, Doerr said he was always looking for the fastball, figuring he couldn't do much with a breaking ball unless it was a hanging curve. "I didn't like to hit guys like Bob Feller," Doerr told the AP. "He had a big motion and was a little on the wild side. You just had to bow your neck and stay in there." He frequently led AL second basemen in double plays, putouts and assists, crediting his fielding skill to endless hours spent bouncing a rubber ball against the front steps of his family's Los Angeles home. He helped the Red Sox win the AL pennant in 1946 — the only time his teams got past the Yankees — but they lost Game 7 of the World Series to the St. Louis Cardinals when Enos Slaughter scored the winning run from first on a single. Doerr long maintained that with just one more strong relief pitcher, they could have won more pennants. Forced to retire by a bad back in 1951, Doerr lived out his retirement in Oregon, which he adopted as his home after spending a winter fishing for steelhead on the Rogue River and meeting his future wife. When Doerr retired, he picked up a bamboo fly rod Williams designed and named for him — but Doerr still had to pay for it. He was wearing a Blue Jays cap in a home videotape while debating hitting with Williams during a 1987 fishing trip. Williams maintained a batter needed to swing with a slight uppercut to squarely contact the ball on its downward angle from the pitcher's mound; Doerr favored a level swing, convinced that the topspin put on the ball would help it carry. The lifelong friendship between Doerr, Williams, Johnny Pesky and Dom DiMaggio was described by David Halberstam in the 2003 book "The Teammates: A Portrait of a Friendship." A statue commemorating that friendship was unveiled at Fenway in 2010. Born Robert Pershing Doerr in Los Angeles on April 7, 1918, he figured he would have grown up to work for the telephone company like the rest of his family if he hadn't found a career in baseball. That's when Doerr met Williams, then a brash kid out of high school. After retiring from baseball, Doerr moved his family to Junction City, his wife's hometown, so their son, Don, could go to middle school. "People ask, "Don't you wish you played now," Doerr said in 1990. "No. I know the money is better, but I just feel fortunate to have played then. I think we had more fun. We played the game hard, but there is so much pressure on these guys."